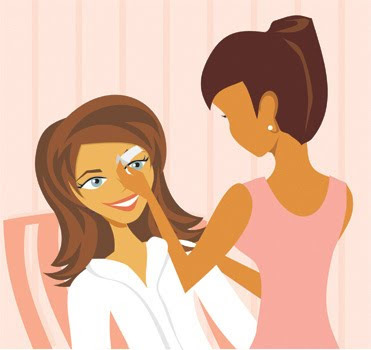 Did you know that Bijou's very own Courtney Conley is offering full body waxing just in time for the spring. Keep up with your waxing every 6 weeks until summer and you'll only have to wax twice during the summer. Courtney is offering: 25% off for the month of March! Make sure there is at least 1/4 inch of hair growth by the date of your appointment. If you have extremely coarse hair, 1/2 inch would be better for an effective waxing. One or two days prior to waxing, be sure to exfoliate any areas that are being waxed. Also, avoid tanning prior to your waxing appointment because it increases sensitivity. ANOTHER great tip is to take an IBUPROFERIN about an hour before your service!